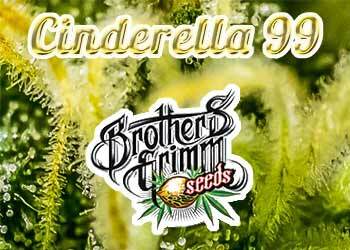 In our on line shop you will find numerous regular and feminized hempseed varieties for indoor cultivation. With the wide selection of the many hundreds of strains of more than 60 seedbanks you can easily lose track. If you still can not decide on a hemp variety, we offer our best Indicas, Sativas and Indica-Sativa hybrids. for Indoor. You must take into account how much space you have for the system of cultivation. You can, for example, grow in a wardrobe, garage, basement or attic. The cultivation system includes: Growbox, light, ventilation, pots, soil, fertilizer, you can find more detailed instructions in several magazines or online portals. Another important factor to consider is choosing the right indoor hemp seed variety. This depends on your personal experience, budget, size and location of your crop. You can find many varieties of seeds for internal cultivation, to suit your needs, in our online shop. There are different flowering times and different heights of the plants, so you can choose your ideal strain and start cultivating!. Once you have chosen the seeds and you have cultivated them, the plant begins to grow, and now what happens? One thing that you have to keep in mind is that the cannabis plant has 2 growing periods: vegetative and flowering. We are alweays pleased to advise you in anyway we can so that your cultivation will be an unforgettable experience. What is the vegetative period for the indoor cannabis plant? This the period which the plant grows after germinating, that is to say after taking root, the plant begins to grow and develop before flowering. Cycles of 18 hours of light and 6 hours of darkness are normally recommended. What is the flowering period for the indoor cannabis plant? This is the period when the plant begins to bloom, have flowers and the buds ripen. For this period you will need to have equal hours of light and darkness, 12 hours of light and 12 hours of total darkness is recommended. Choose a good genetic adapted to your knowledge and tastes. Choose the substrate you are going to cultivate the seeds in. Choose a good fertilizer, an organic fertilizer is recommended as it is gentle and does not overfertilize the plants, unless you are an experienced grower. Use adequate water, not all places have adequate water for proper growth, you can use bottled water. Adjust the acidity level or pH value of the water and nutrients mixture. Measuring electroconductivity, EC, is the measure of the concentration of salts in the water. The right measure of water, too much or too litlle is just as bad. Ventilate the area where you are growing the plants space as they need air for growth. Check that the plant does not have pests, usually in the underside of leaves. Although it is unusual for pests to appear on the plants, you still need to inspect and take the appropriate measures. Control the size of the plants so they do not touch the bulbs and burn the tips. Monitor humidity levels, as too much or too litle is bad for the plant. Monitor temperature, as too much or too litle is bad for the plant. Cut at the right time, there is an optimal time for harvest. Dry the plants well, it is very important to dry the marijuana. This variety is perhaps the "Holy Grail" among the genetics of hemp. It was created by Mr. Soul in the 1990s and revived after a long break in 2015. This hybrid was bred especially for the indoor growing. The plant produces dense flowers with an extremely good proportion of flowering to leaf. The results and the quality are superior. Aroma and flavor are sweet tropical fruits and smelly, rotten cheese. 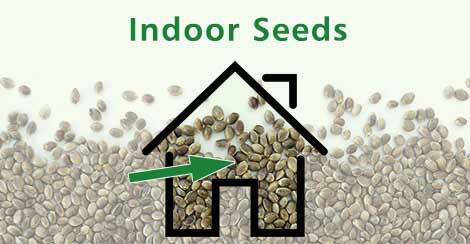 Regular seeds for indoor cultivation are the classic among hemp seeds. They produce approximately 50% of female plants and 50% of male plants. Somewhat out of date, however, they remain the first choice due to characteristics such as stability or growth. The popularity of the AK varieties has been on the increase since the mid-nineties and continues to grow. The AK-48 is one of the strongest you can find. White Widow is a classic. A variety that has won countless awards and is considered among the most powerful yet created. The original Skunk hybrids fused traditional crops from Central and South America, Afghanistan and Thailand. Nirvana's Pure Power Plant, a strong F1 hybrid, was developed in the late 90s from a South African Sativa and a fat Indica from the USA. White Widow is a classic, a winner of countless awards with a reputation as one of the most powerful strains ever created. This plant is almost a pure indica strain with a happy effect and it is available only in its female version.